Want to enjoy a prenuptial photo shoot and a vacation in the United States at the same time? You can have your (wedding) cake and eat it. 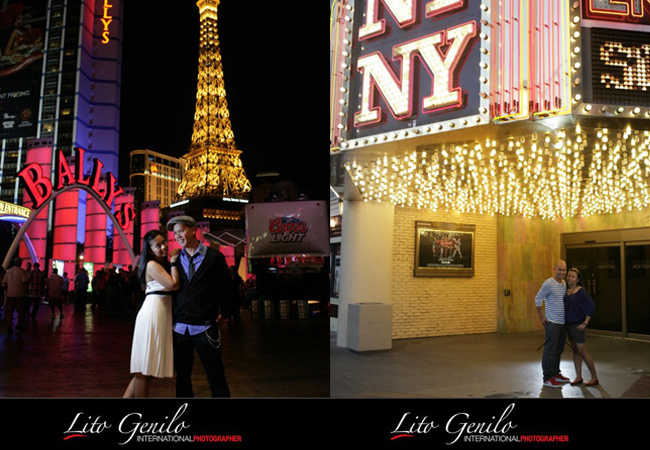 Ask Lito Genilo from Smart Shot Studio for his next US tour schedule so you can book an engagement session with him. His familiarity and experience in destination prenuptial and wedding shoots makes him a top choice for soon-to-wed couples. In fact, he has established his own wedding photo studio in California to cater to US-based Filipinos. Walk along the bustling streets of New York City and marvel at the skyscrapers. Steal a kiss under the Brooklyn Bridge, the world’s first suspension bridge. For a panoramic view of New York City from atop, go to Hamilton Park and use the viewing lens. At Central Park, savor the fresh air and the lush greenery as you stroll along its winding paths or make a wish in front of the famous Angel in the Water statue on top of Bethesda Fountain. Sit on a bench and admire the Statue of Liberty from a distance sans the crowd of tourists. Feel like a citizen of the world as you stand between rows of flags Rockefeller Center. In the evening, enjoy the glitz and glamour of Broadway. Drive along the scenic route to the Valley of Fire National State Park and explore the natural limestone formations. Alternatively, you can play around with the views at the Red Rock Canyon. At night, be dazzled by the glittering city lights of Las Vegas City. For an extra dash of romance, ride a gondola at the Venetian and listen to the gondolier sing Italian love songs for you. To satisfy your wanderlust, explore the laid-back neighborhood in San Francisco. Admire the Greco-Roman architecture at the Palace of the Fine Arts. Row a paddle boat and be surrounded by ducks at Stow Lake in Golden Gate Park. Have a photo op at the half-moon bridge in the Japanese Tea Garden, or relax at the sight of the waterfalls and the miniature pagoda. Surround yourself with colorful flowers at the city’s lush gardens. Walk barefoot on the beach with the backdrop of the world-famous Golden Gate Bridge behind you. If you prefer a more offbeat track, why not head to Pennsylvania’s capital city? Pose in front of the historical City Hall. Climb up the stairs of the Philadelphia Museum of Art. Walk along the busy Broad Street and enjoy the art scene. Pretend to be a bookworm at the Free Library of Philadelphia. Finally, savor the fresh sea breeze at Penn’s Landing. If the seaside is your idea of a romantic escapade, why not choose one that suits your mood? For a relaxed tropical atmosphere, choose the charming beaches of Hawaii. On the other hand, if you prefer temperate climates, choose among Los Angeles’ Santa Monica Beach, Malibu, or Laguna Beach. For a European-style setting, try Carmel in California. 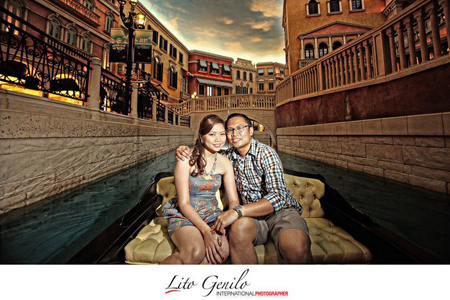 Whichever location you find yourself in, a smart photographer like Lito Genilo can help you have fun creating memorable moments with your loved one. For more details, visit Smart Shot Studio’s profile at Kasal.com today!